Denim Tapering Service - Anywhere in USA | Williamsburg Garment Co. Here, you can customize the leg shape of jeans. Order tapering alterations for Williamsburg or Any Brand of jeans here. 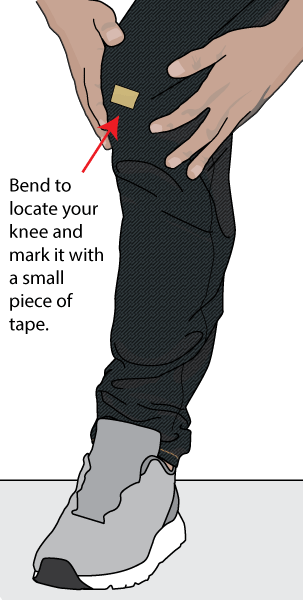 Chainstitch hemming and customized inseam length is included with tapering. Online taper alterations from anywhere in the USA. Pay the $15 shipping fee at checkout and we send you a shipping label, then return your garment after the alterations. The fee is the same for one or multiple pants with the same order. Learn more details & info by clicking images links to other articles. No matter if constructed with a flat-felled seam or overlock, we take apart the entire inseam and re-sew it for the very best result. Watch our short video below to see the complete process. Feel free to make notes and send the notes with your pants. If we have any questions, we will contact you. Noted measurements and instructions will supercede the online form. Feel free to supply your own customized measurements. As example, some customers want the knee area a certain width, or the width thigh adjusted. We will do our best best follow your instructions, even if they don't make sense to us, so be sure that your measurements will work. There are no refunds. In many cases we will contact you to confirm special request. Please ship your jeans & pants to us clean and with any animal hairs removed. We know most raw denim fans don't like to wash jeans, so we don't mean they must be washed. We would like to have them in a decent condition for handling. We reserve the right not to work on smelling soiled jeans, or those covered with pet hairs. $20 up-charge for jeans not made by Williamsburg Garment Co. Perfect job on 1'st pair and waiting for 2nd pair to arrive ! Fantastic job! I have now had 2 pairs tapered by Maurice. He does very professional, very precise work. My jeans have come back better than before twice now, this is my go-to denim alteration company. Fine work by the best resource for dungaree alterations. Perfectly altered to my specs and fast turnaround, too. I had two pair of strait leg raw selvedge jeans (APC new standard and Williamsburg South 2nd St). Both are high quality but the straight leg made them a little dad(ish). I tapered the leg opening down from 16" to 15" and both pair look killer. Jeans size were 33 for the APC and 34x36 for the Williamsburg. I am tall so I used the highest crotch number (I think 13 or 13.5 inch), and the taper to 15" leg opening now wears like a levi 511 and a bononbos slim. Another great work! My denim was tapered and hemmed perfectly to my specification! Thanks Maurice, awesome work!